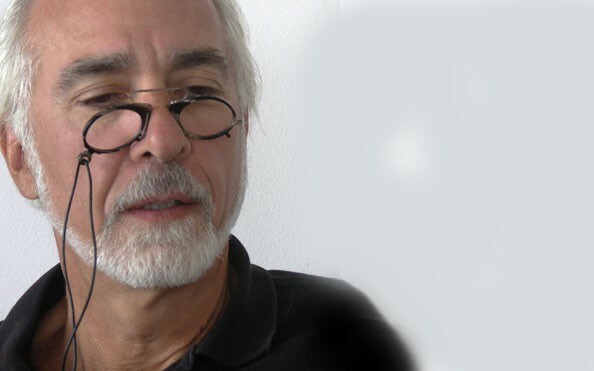 Pince nez - Perch this spring loaded reading aid on your nose, and fasten the clip to your shirt or jacket. (leather strap & clip are included). 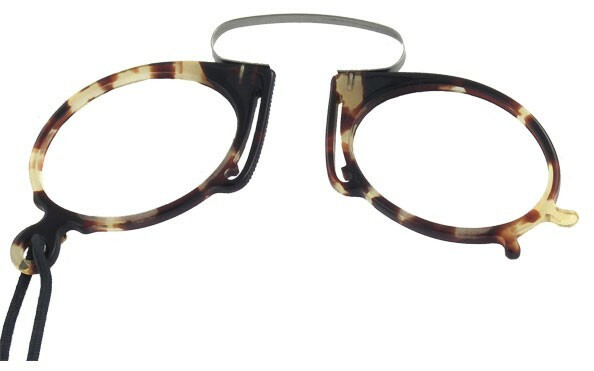 A retro eyeglass piece with a lot of attitude. Made in Italy. 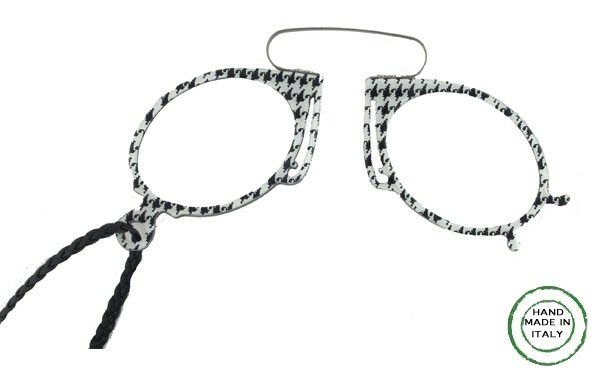 A great gift for a special someone in your life.Buy a Pince Nez Frame only, have your prescription put in it, be unique! Packaged in a hard case.You may also consider our unique MONOCLE, as a great gift item. 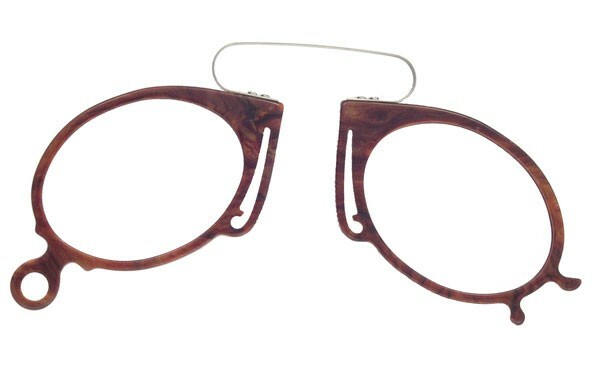 Note please, Pince Nez are custom made for you- This item may not be returned, exchanged or refunded. Thanks.